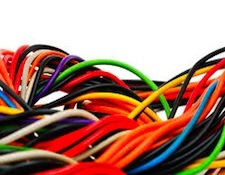 As I discovered after my recent article "You DO have to sweat the small stuff" was published, the debate about whether cables make any difference to the sound of an audio system is apparently never going to go away. In writing that article, I specifically stated that it was NOT about cables, and that I was only using one young man's comment about cables to introduce my REAL subjects, which were that: 1) In audio, improvement is incremental and, although you may not always get what you pay for, you definitely DO pay for what you get. 2) Improvement is subject to the "Law of Diminishing Returns", so that each additional dollar spent will bring less new improvement, and 3) When you finally DO get to a certain point, just like focusing a camera or fitting a key to a lock, that tiny last increment can make a huge difference. So what happened? Virtually all of the comments that came in were about cables and few, if any, were in response to what I had actually written about. In pushing their position, the people out there who would have you believe that cables don't make any difference to system performance usually start by assuring you that there are only three (or four, depending on which orthodoxy they come from) factors that affect the performance of a cable: RESISTANCE ("R") [or its converse, CONDUCTANCE ("G")], CAPACITANCE ("C"), INDUCTANCE ("L") and, if they come from that group, CHARACTERISTIC IMPEDANCE ("ZO"). 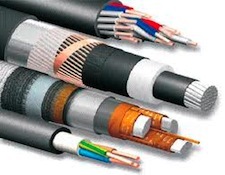 Those are the factors considered important to cable performance in conventional Electrical Engineering theory and practice and, as far as they go and for their intended purpose, they are (surprise!) both correct and sufficient. The problem's not with them, but with that word "only". In fact, there are a great number of other things that also affect cable performance, and even of just the four given (R, C, L, and ZO), two are, FOR MOST AUDIO APPLICATIONS, of lesser significance than the others and one may make absolutely no difference at all! Resistance is one of those factors that is usually of less importance for audio cables. In power transmission systems, however (remember that power lines all over the world run at 50 or 60 Hz, and that those are definitely audio [not-very-deep-bass] frequencies), that's NOT the case, and, in fact, the reason that power lines are AC of any frequency at all has specifically to do with resistance: The original Edison power lines for electrifying the cities for electric lights ran on direct current (DC) and the ONLY thing that affected their performance (other than a "short" or a break in the line) was resistance. The problem was that cities, even in the beginning, when there weren't all that many users, and power wasn't being conveyed all that great a distance, still used HUGE amounts of electricity, and to transport it as DC current (Amperage) meant dealing with either or both of two concerns: Either the cables had to be colossally thick (and HIDEOUSLY expensive and difficult to work with) to reduce their resistance or the electric companies had to face significant losses of otherwise salable power to just heating the cables! The solution came from Nicola Tesla, who, backed by George Westinghouse, went to an AC (alternating current) system which allowed tremendous amounts of power to be transported through relatively small lines as low current at very high Voltage (up to 220,000 Volts) without heating the lines and then, using step-down transformers, to convert it to high current at much lower (120 or 240) voltage for home or business use. For an audio interconnecting cable, the signal is, as with power lines, an alternating current, but obviously of a vastly broader frequency range and vastly lower power. In fact, for an "unbalanced" ("single-ended") audio line connecting two components, one with an output impedance of typically 50 to 250 Ohms, and the other with an input impedance of typically 10,000 to 47,000 Ohms, the amount of current actually carried is negligible - in the milliamp or fractional milliamp range and resistance as an element of current loss is not a consideration. "Balanced line" interconnects (typically fitted with XLR connectors), although connecting matched impedances (the original standard was 600 Ohms) and therefore not having "loading" issues, still typically carry only very tiny amounts of current so, other than affecting their own characteristic impedance (ZO), their internal resistance is of similarly little importance. © 2019 Luxury Publishing Group. All Rights Reserved.